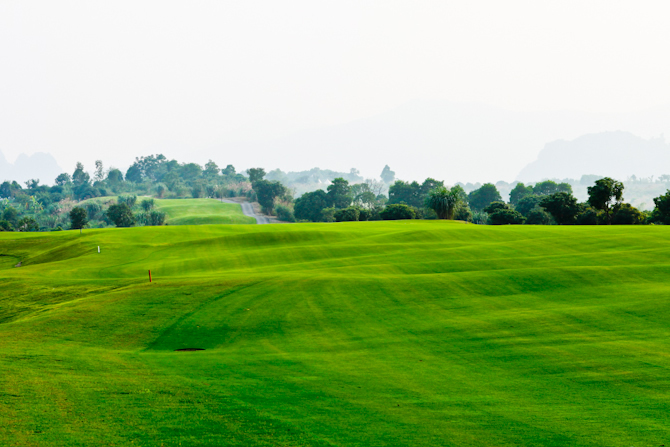 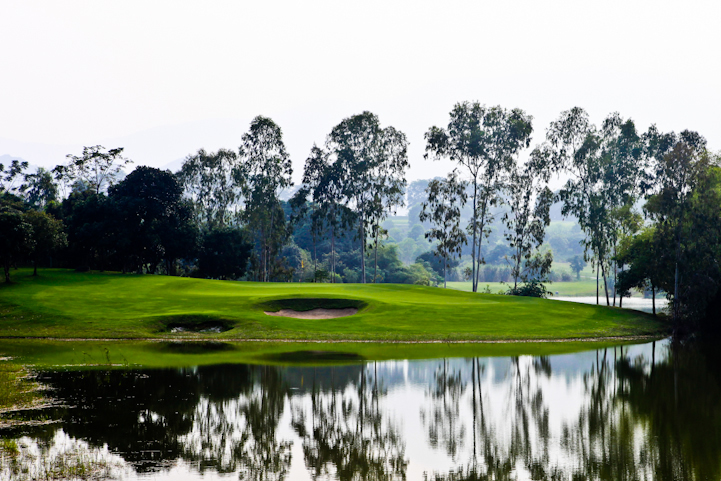 Located at the Van Son Lake area and 45 minutes from central Hanoi, Sky Lake Resort & Golf Club is made up of two 18-hole PGA standard courses and an on-site golf academy. 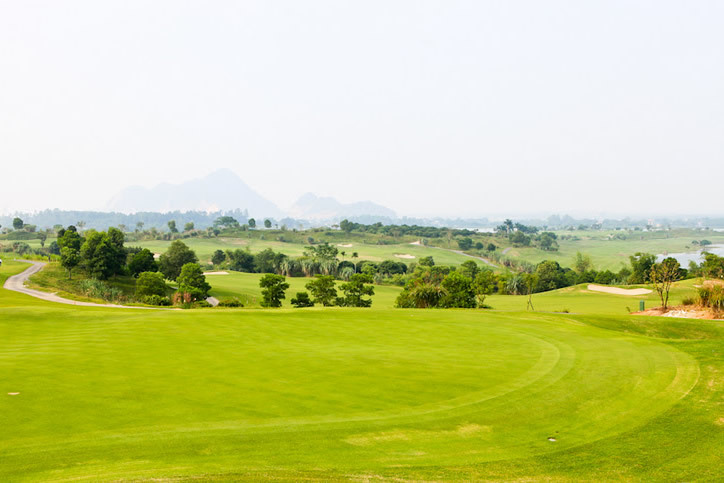 The project is a master plan from Korean investors with golf course design by Robert Painter (Kingsbarns Golf Links, UK) and Ronald Leck (Sky 72 Golf Club, Korea). 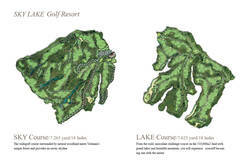 The 18-hole Lake course to the West is a links-style course, providing challenge with grand lakes and beautiful mountains as backdrops. 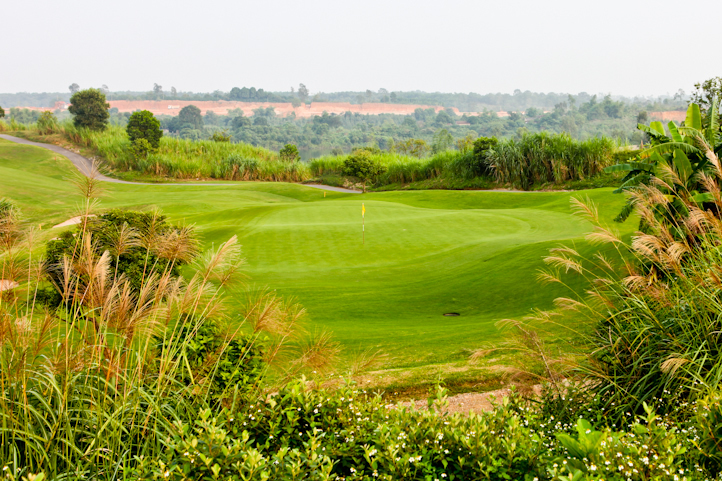 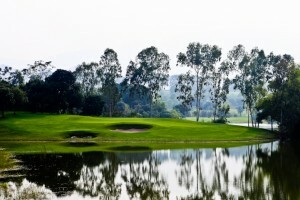 The 18-hole Sky golf course to the East is surrounded by natural Vietnamese jungle. 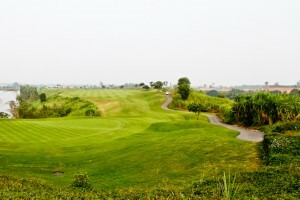 Moreover, the Sky Course is routed over rolling hills. Scenic views overlooking the surrounding farmland can be had from the club house and from many points on the course itself. 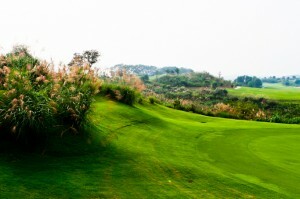 Fairways and greens are undulated and follow the hilly contours of the area. The course is long and challenging as it plays to 7,265 yards from the tips. Long and accurate drives are required to reach several lengthy uphill par-4 holes in regulation. 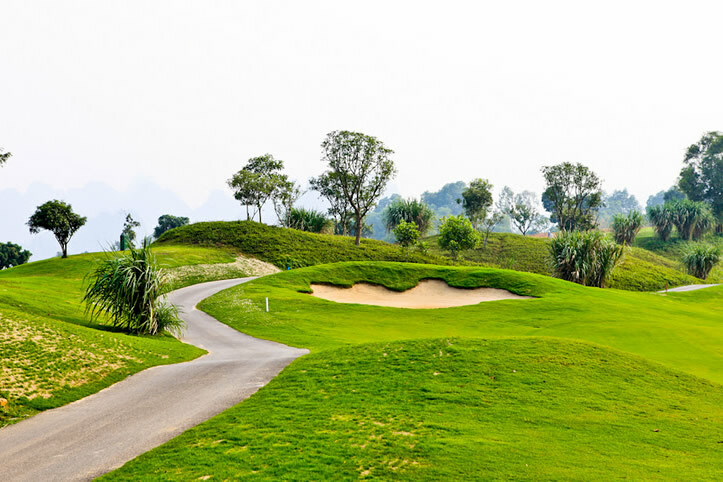 Straying off the fairway will result in difficult lies in the thick rough or worse as large trees and severe drop off areas flank most holes. 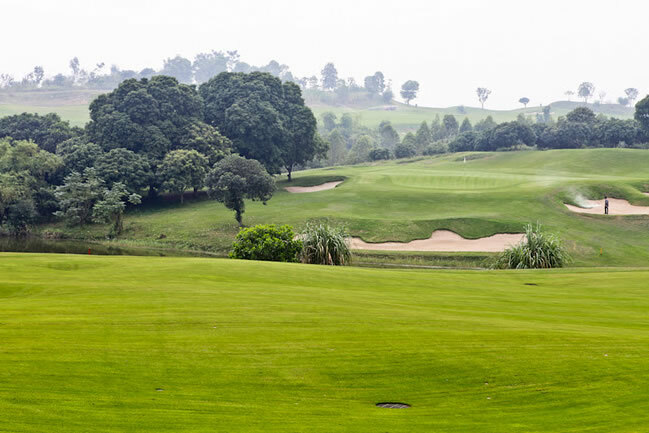 Moreover, large multi-tier greens guarded by steep greenside bunker complexes are also found on many of the Sky Course holes. At least to put things in perspective, most fairways are wide enough to accept most off-center hits and the ball sits up very well on the lush Paspalum grass. After a round, golfers can enjoy excellent Korean food and cold beer at the club house restaurant which looks out over the golf course.